Rear yard addition and new kitchen expansion, remodel to dining and living rooms, new master bathroom, new bathroom and new powder room, remodel to front and rear facade. 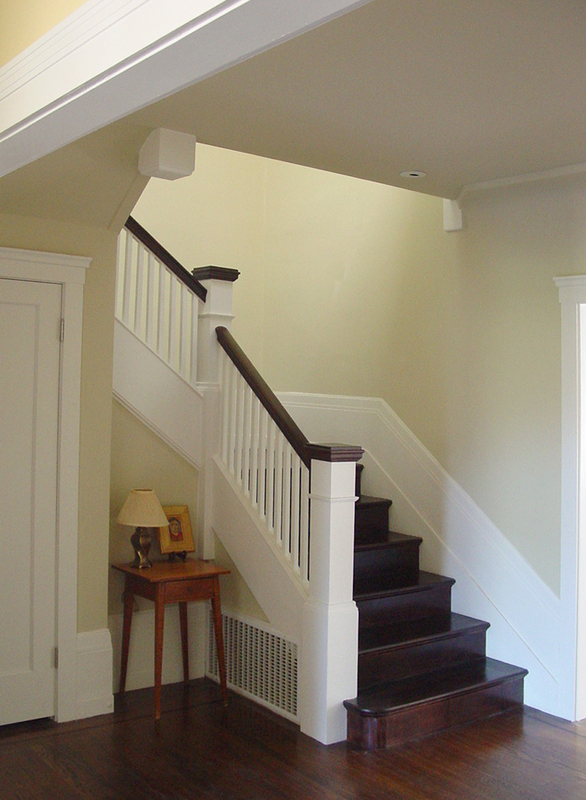 The owner wished to execute a whole house remodel to this existing traditional San Francisco Marina Style house. 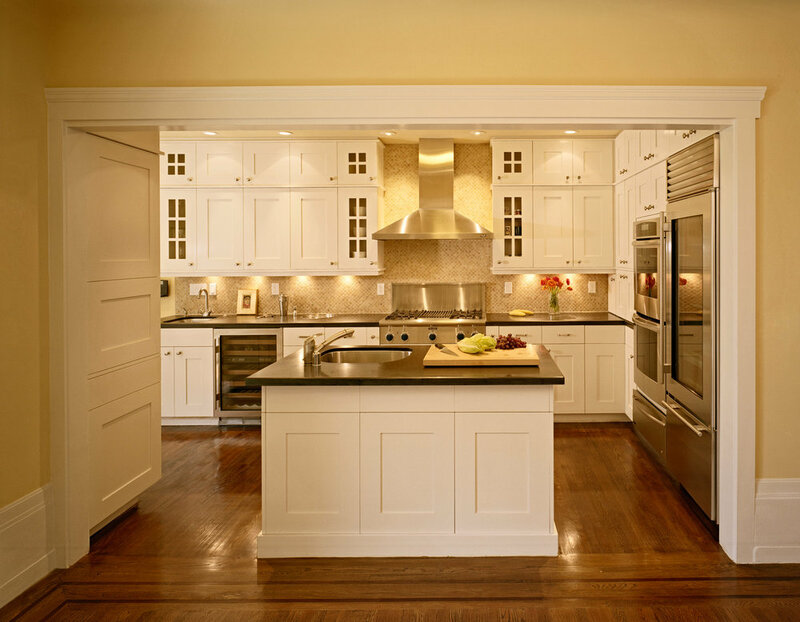 The kitchen and two bathrooms needed a complete renovation and reconfiguration. A new master suite was to be created at the top level. 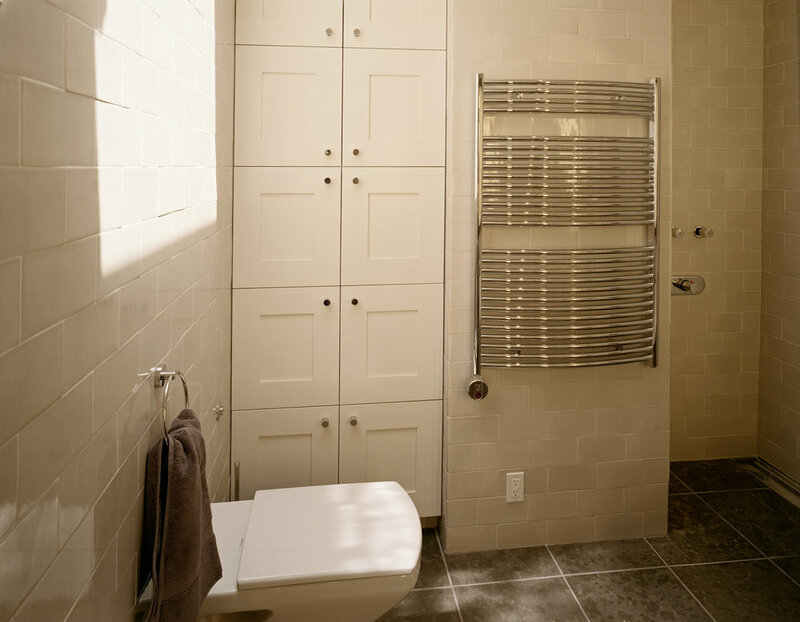 A master bathroom would be developed along with a new guest bath where one existing bathroom existed. On the main level the breakfast area occupied a rear extension of the house that was a former poorly constructed utility space. The owner wanted to open up the main living areas to create a more spacious feeling. All of the existing electrical and heating systems in the house needed to be upgraded along with the existing windows. The existing rear extension of the house was considered an existing non-conforming condition by the Planning Department. The extension was very poorly constructed and we would need to tear it down and replace it. We did research and we made a case for the extension being built under the original building permit and we applied for a variance. After an extensive review and public hearings, we were granted the variance. That allowed us to create a new addition at the rear of the house and then create a more spacious remodeled kitchen and breakfast area. We opened the kitchen to the dining room and the dining room was opened up to the living room. Upstairs we combined two of the existing bedrooms to create one master bedroom. We also reconfigured the existing bathroom to create a new master bath with a wall hung toilet and bidet and a separate walk-in shower. 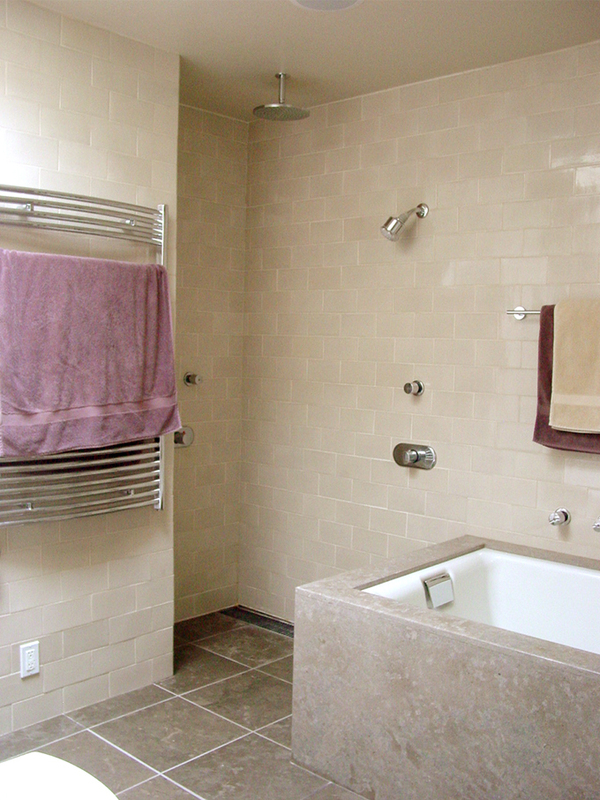 A new guest bath was created for the second bedroom. 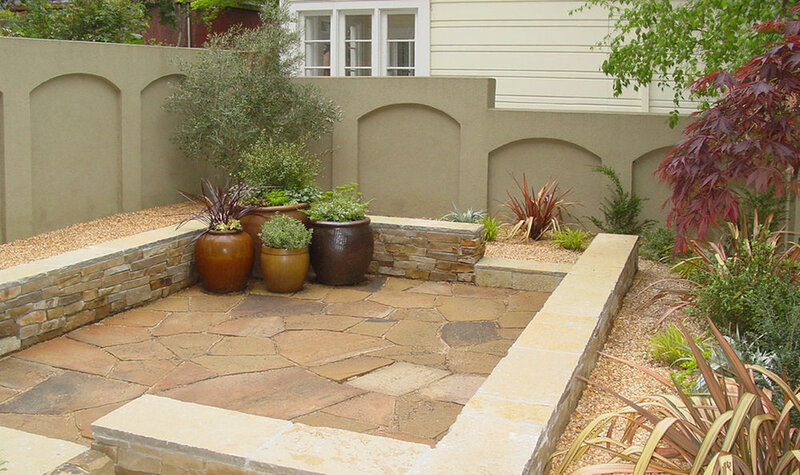 A former deck area was converted to a new patio over a new enclosed space below that would be used to develop a future living space. As a result of this whole house remodel, the existing residence has been completely updated. The new construction blends seamlessly with the existing traditional Edwardian House inside and out.